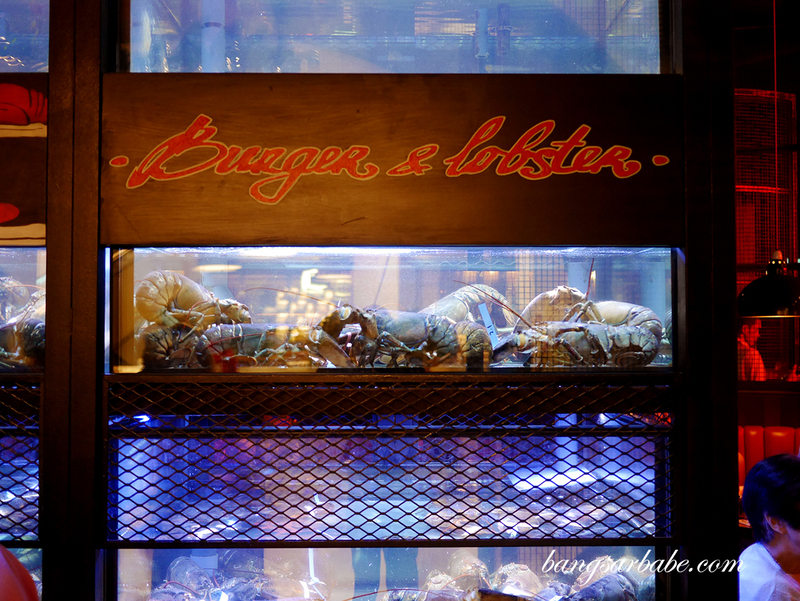 Burger & Lobster started out as a pub in Mayfair, London, where only three items were available – lobster, lobster roll and burger. 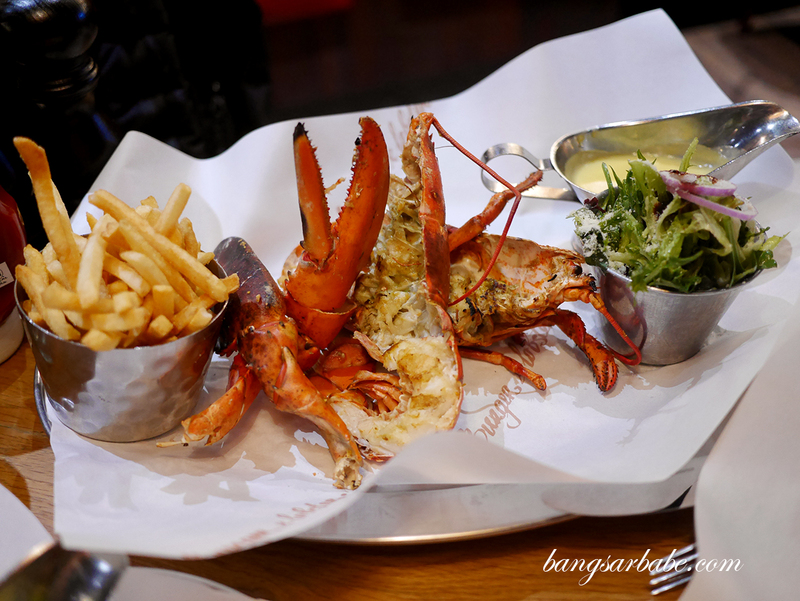 I first tried Burger & Lobster at their Leicester Square outlet in 2015, when they were at their peak and queues were insanely long. 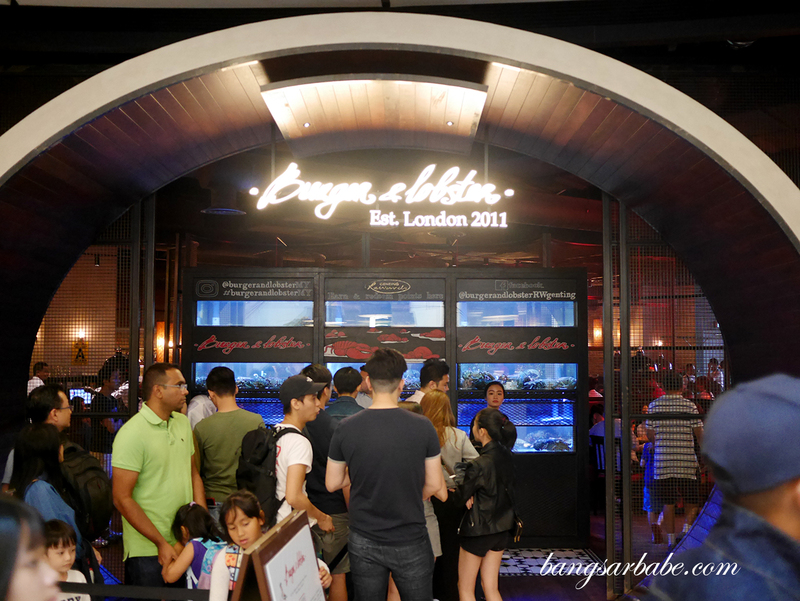 Three years later, I was told the hype isn’t quite there in London but the hype for Burger & Lobster in SkyAvenue Genting is apparent judging from the long queue that forms from the entrance, all the way to the back. 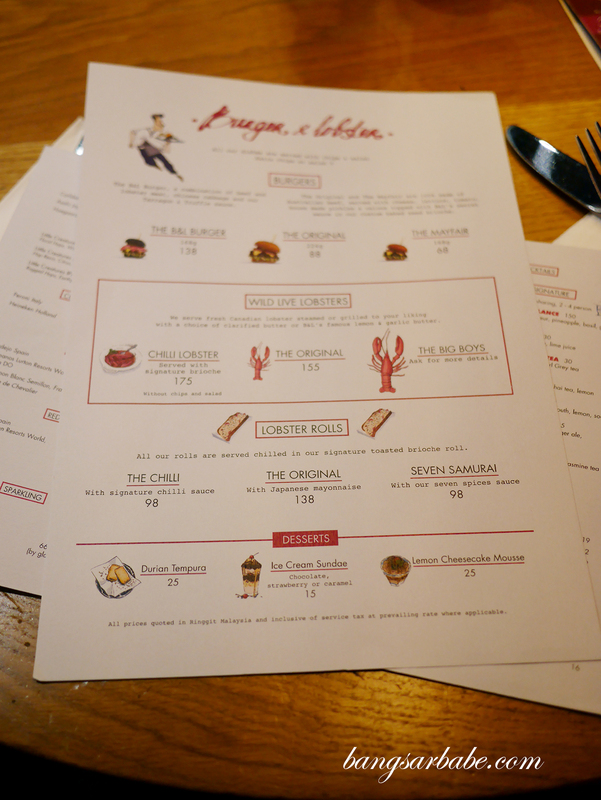 Jien and I decided on an early dinner at Burger & Lobster when we were in Genting not too long ago – since he hasn’t had this before, we felt he should try it at least once. 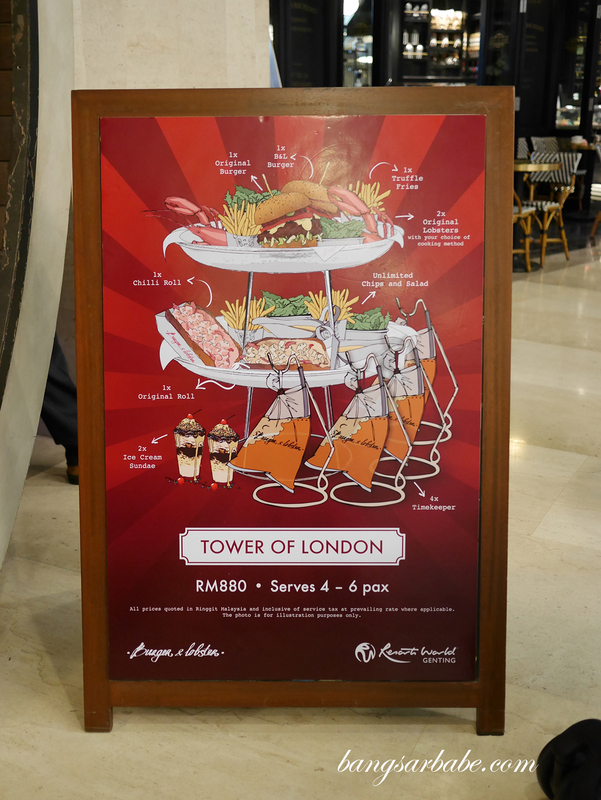 45 minutes later, we were seated in a smooth booth with our friend, contemplating if we should go all out and order the “Tower of London” (RM880) which feeds 4-6 pax. 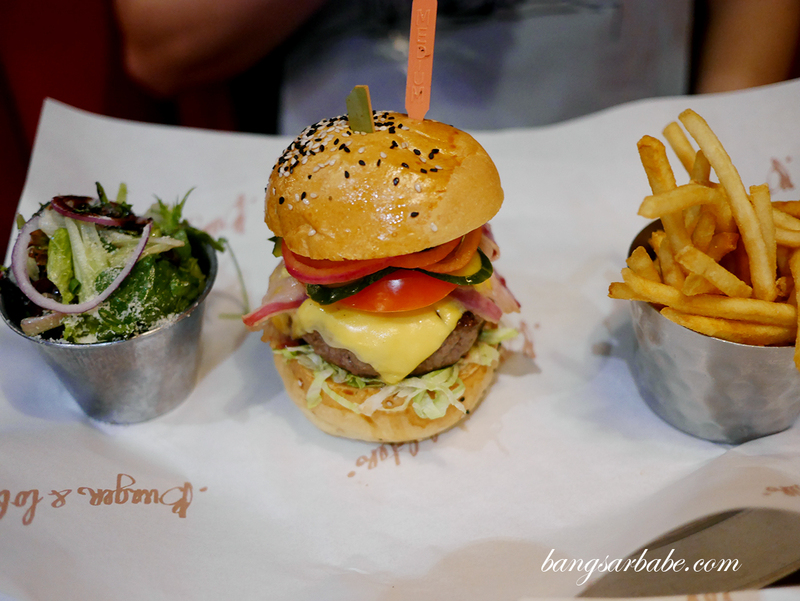 But it was just the three of us; two of them are relatively moderate eaters so we decided to share a portion of lobster roll (RM138), grilled lobster (RM155) and a burger (RM88). 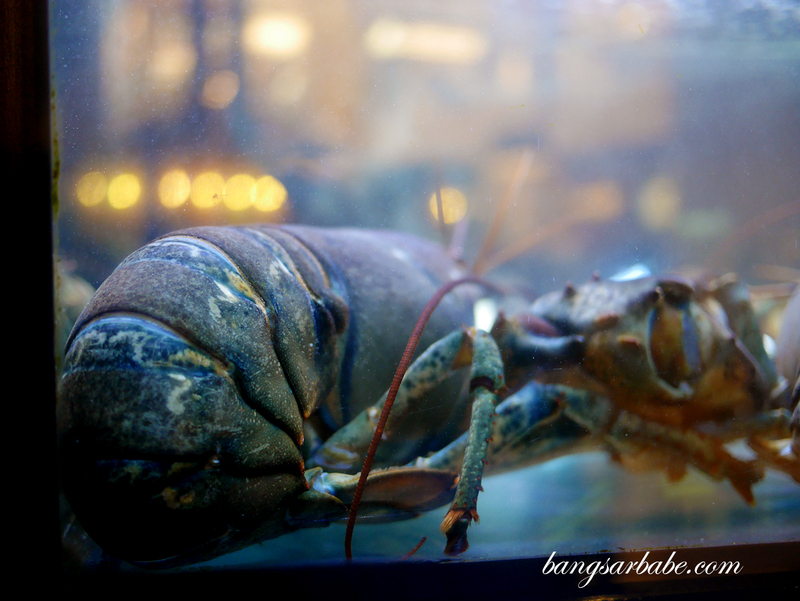 Luxe versions of the lobster is also available and it’s at least three times the size of the Canadian lobster we had. You’ll have to ask the waiter how much this cost, though I’m pretty sure you can buy a purse or a new pair of shoes with that money. 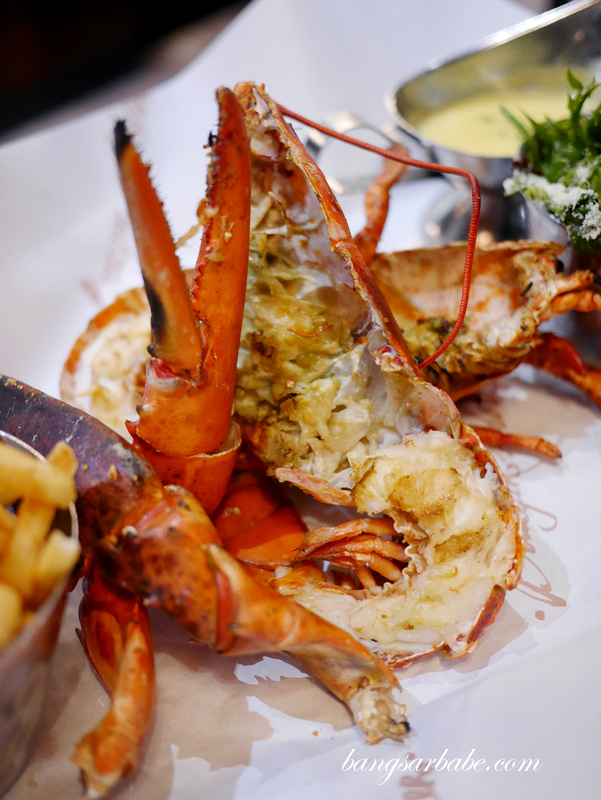 I thought the lobster was alright – grilled and served alongside B&L’s famous lemon and garlic butter to accentuate the sweetness of the lobster flesh. Jien and I thought the lobster was a wee bit overcooked as some parts were borderline tough. 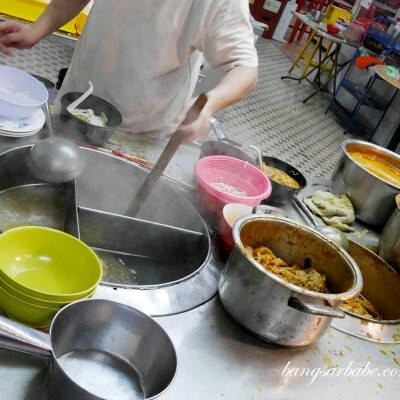 That aside, the melted butter mixture is pretty addictive and delicious when eaten with fries too. 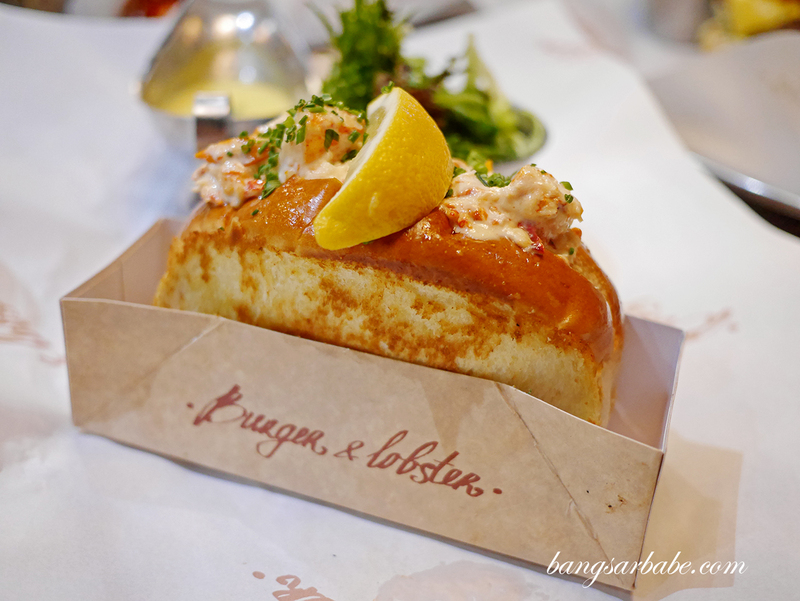 I liked the lobster roll better – buttery brioche roll, filled with lobster pieces in Japanese mayo. Sounds pretty decadent but portion is just right so you wouldn’t find the whole combo cloying. 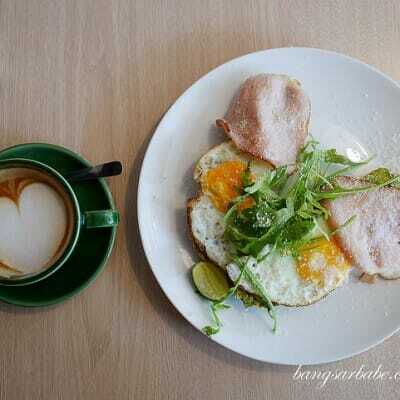 This too, comes with some lemon garlic butter on the side. We opted for the original burger instead of the B&L (beef patty with lobster on top) as we were already having the grilled lobster and lobster roll. 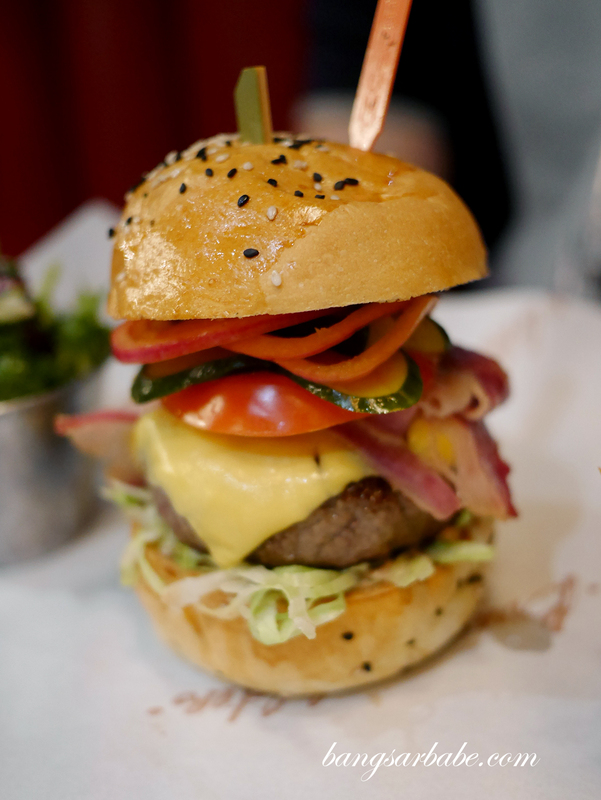 Made using Australian beef, it was a decent burger albeit, nothing particularly memorable. 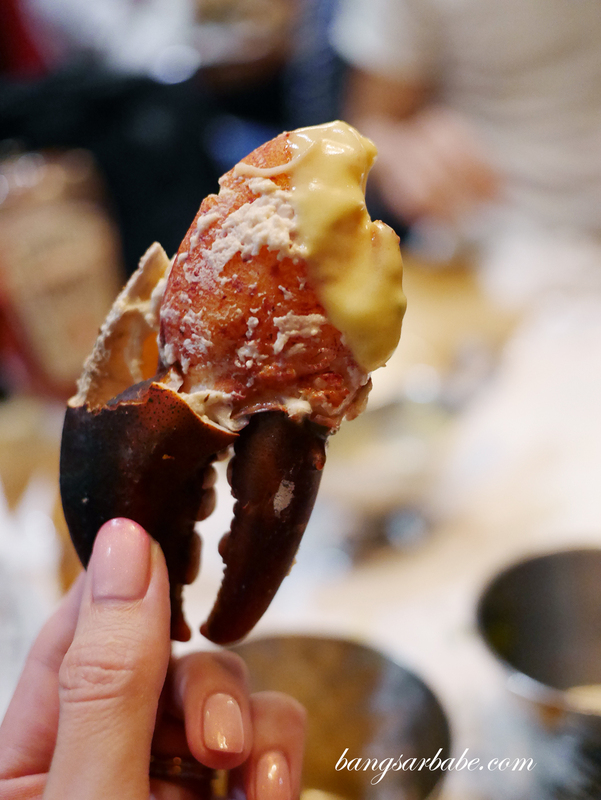 The chilli lobster is a Singaporean thing I was told – will have to come back for this when I’m in Genting next. 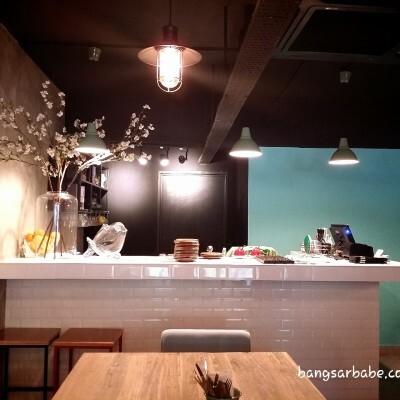 Don’t bother ordering the milkshake (RM29) as it’s more diluted than the mamak’s Milo ais. 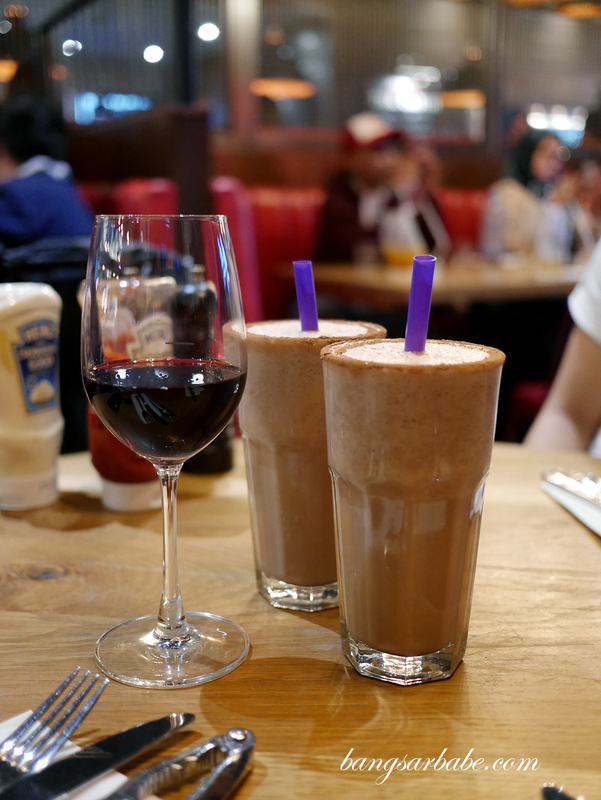 Even McDonald’s chocolate milkshake is thicker than this, I kid you not. 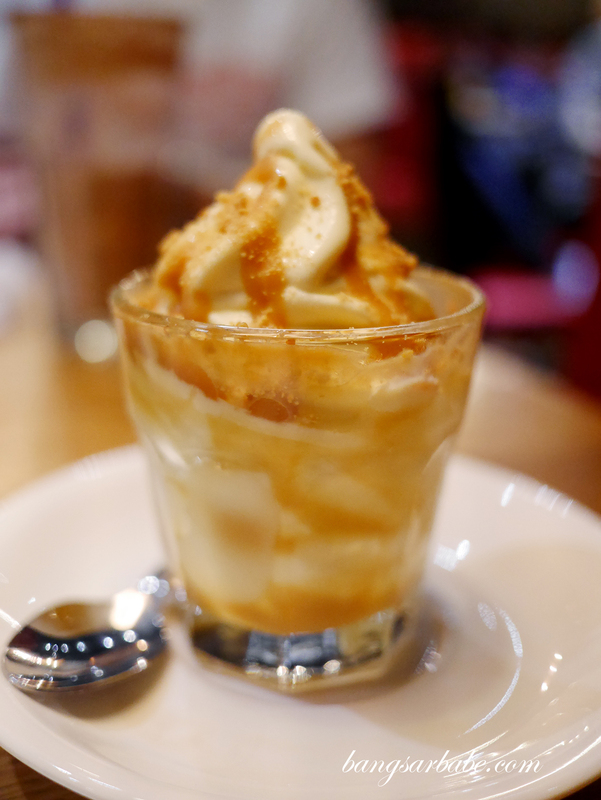 Burger & Lobster’s ice cream sundae (RM15) looks nothing like what was advertised. You get what looks like a dressier version of a fast food ice cream sundae, at triple the price. Tastewise, it’s just vanilla ice cream with either chocolate, strawberry or caramel on top. 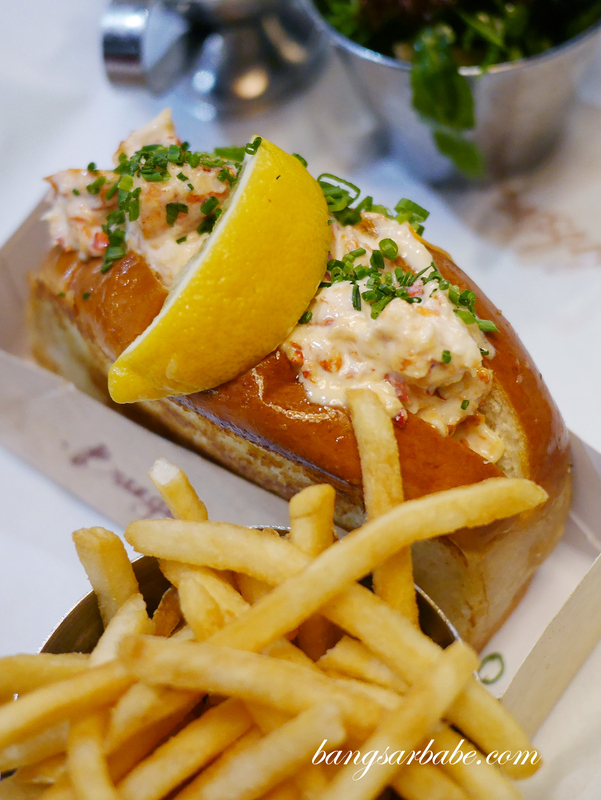 Verdict: Order the original lobster roll. Skip the milkshake at all cost.